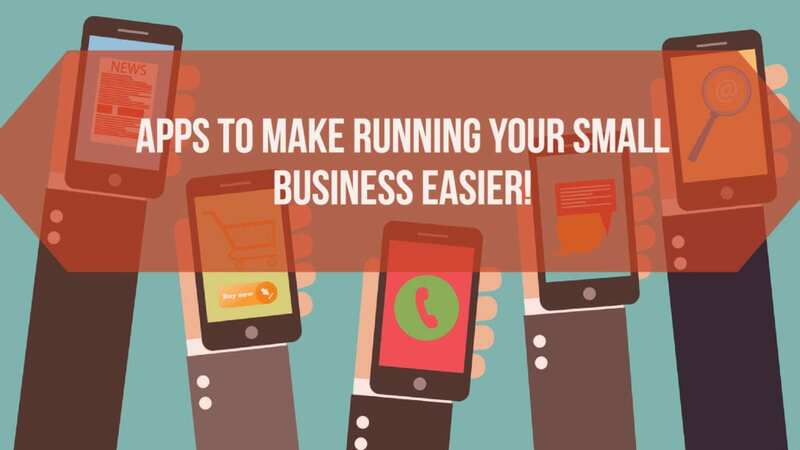 Small business apps can do everything from streamline project management to increase leads for potential customers and help you communicate with them better. Here, we’ve picked 14 of the best apps for small businesses that are not only user-friendly but also deliver results. We’ve grouped them by category to make it easy to find exactly what you’re looking for. IFTTT rhymes with “gift,” and this handy app is exactly that for a small business owner. Short for “if this, then that,” the software allows you to set up rules that automate loads of small processes in your business without having to learn the nuances of coding. Features: This productivity app lets you create connections between all of the Internet-connected services, devices, and apps you use daily to run your business. For example, if you want every photo you post to Facebook to be automatically uploaded to Dropbox, or you want every new email subscriber to appear in a spreadsheet automatically, you can automate those processes with this app. You’ll simply build a command, called a “recipe” in IFTTT, by clicking on icons and adding information into a few fields and the app does the automation for you. Cost: The app is free, though a premium service may soon be available for a monthly fee. In the “old days,” sticky notes were small business owners best friend. They decorated desks, walls, and even the refrigerator with reminders, ideas, and concepts. Paper by 53 is the technological answer to the Post-It Note. Features: This Apple-specific technology that works on your iPad or iPhone has a host of features to bring your business art and ideas to life. It captures notes, photos, and sketches, and provides dozens of formatting options to organize your thoughts with a smile swipe. The enhanced communication management features give you lots of sharing options, and you can save your work as aPDF, Keynote or Powerpoint presentation. Cost: The program is free to download in the App Store. Creating and maintaining a consistent brand and image as your business grows is one crucial key to success. Frontifty has tools that make it easy to keep your vision clear, and your staff all on the same page. Features: The user-friendly interface allows you to create customized style guides for all types of communication. This is especially helpful if you have staff members across multiple locations working on marketing duties, or if you need a place to specify the types of content you want in specific materials like emails, brochures, newsletters, and in-store displays. Upload logos, images, preferred fonts, videos, approved color palates, and icons to the app for consistent use. Cost: There are a variety of plans to choose from depending on the number of users and how many online style guides you develop. Expect to pay between $50 and $179 monthly for a small to mid-sized business. Store all of your branding information in the cloud in one easy to access space with this innovative software. Features: Unlike a typical shared drive, Open Brand is a software built by designers to streamline the entire process of business branding. It overlays design software like PhotoShop, Illustrator, or InDesign so you won’t need to toggle back and forth to access templates, images or updated graphics standards. It includes enhanced mock rendering features, making it the perfect choice if you frequently deliver proofs for approval to clients. Cost: There are three levels to choose from, Basic, Pro, and Enterprise with pricing ranging from free to $14.95 per month. Features: A video conferencing app that’s a user-friendly choice for online meetings, Fuze displays in high-definition and delivers crisp audio to ensure everyone’s voice is heard. The app works on all devices and operating systems, including tablets like the Samsung Galaxy and iPads. Pricing: The pricing packages are custom built, so contact the company to get yours. If you’re juggling more than one phone or device to manage your small-business, Pushover might just be a lifesaver. Features: This app aggregates all of your messages and notifications from all devices into one common space by using push technology. You get to send up to 7,500 messages monthly and have an unlimited capacity to receive notifications. Price: You can try it out for free for one week, and then you’ll pay a one-time fee of $4.99 per platform you want to synchronize. The ability to get a clear snapshot of your company’s financial health is crucial to making daily business decisions. Quickbooks organizes your payroll, expenses, and sales all in one place and generates reports on important info like profit and loss reports, unpaid invoices, and financial statements. Features: The app connects and automatically uploads data for hundreds of account types that you designate, like your bank account, credit cards, Square or PayPal to give you an accurate snapshot of all of the aggregated data. The tool also makes it easy to file your taxes as it has features like receipt uploads and automatic expense tracking throughout the year. You can access it from pretty much any device, and it has a friendly interface for your iPhone, iPad, Android phone or Android tablet. Cost: Quickbooks is always running a promotion, so be sure to check out the site for the current deal. You can typically get a free 30-day trial and then sign on for a six-month package for between $5 and $35 monthly. After that, expect to pay between $10 and $50 monthly to continue to use the service. Social butterflies with a robust LinkedIn network can grow their lead database instantly with Skrapp. Features: This software is a sophisticated data crawler that works as a Chrome extension and will pull the name, job title, company information, location, and email address of anyone on LinkedIn. The algorithm will search through corporations to find the email addresses that you need to reach your target demographic. Skrapp then synchronizes your leads to your CRM or email service provider for quick access to the new prospects. Cost: Packages range from free to $149 monthly depending on how many emails you want to add to your list. Features: We live in an interactive world, and with Intuiface you can create touchscreen experiences without having to learn to write code. The software provides tools to build aesthetically pleasing applications that end-users access from mobile devices or multi-touch displays. The app is as simple to use as creating a Powerpoint slide and incorporates all of your own content and images to keep your branding consistent. Cost: Packages range from free to $150 per month per user depending on how many features you want to access. Keeping staff motivated and connected is sometimes tricky as a small business owner. 15Five is a tool to manage that process. Features: Designed to keep its finger on the pulse of the human element of your company, 15Five offers feedback about your employees. Weekly staff members take 15 minutes to answer questions about productivity, morale and organization culture and leadership spends five minutes reviewing and commenting on their responses. The process facilitates conversations and helps keep everyone connected. Cost: The basic package runs $7 per person per month and the Plus level, which includes enhanced features and reports is $14 per person per month. Features: Taking traditional project management software a step further, Paymo combines planning, scheduling, time tracking and invoicing into one user-friendly interface. The app allows you to communicate with your team in real time, adding tasks, scheduling resources, and updating files to get projects finished on time. Their integrated project accounting feature is a game changer in reducing tedious administrative work. It allows you to take your timesheet data and instantly get expense snapshots, create invoices, and produce estimates for your clients. Cost: There are three tiers of packages available ranging from $4.45 per user per month to $22.45 per user per month. Features: The app utilizes the Pomodoro Technique and breaks your work down into intervals interspersed with short breaks to help you maintain focus and get more done throughout the day. Not just a timer, the app automatically tracks and records your productivity and tasks into timesheets, and the data is easily exportable to CSV or Excel files to share with clients or the management team. Cost: The starter package is free, packages for individuals are $3 per month, and professionals pay $5 monthly. Every new sign up gets the professional package for free for the first 30 days. Features: Visual learners who love seeing their ideas on paper find MindManager to be a useful tool. You can create flowcharts, concept maps, or timelines to lay out any part of your business process. These are invaluable in brainstorming, time management, project planning and execution, sales processes, and more. Cost: New users get a 30-day free trial and can then purchase the software for around $350 for the Windows version and $180 for the Mac version. Features: This video production software goes a step beyond a traditional live stream or YouTube upload. You can create content with personalized features for every viewer, and get individual viewer demographics in real time. The app fully integrates with your CRM software, and will also allow you to host interactive events like webinars. This is an app that can produce some seriously robust lead generation, and gives you all of the tools to create, market, and track the success of your video presence online. Cost: This is one of the most comprehensive video platforms available to small business owners, and the technology is expensive. You’ll need to contact the company for a quote, but packages start at $550 per month. Do you ever start out to create content – a blog or article, even a whitepaper or report – and it seems like you can’t seem to get it finished because you don’t even know where to start? Often, it might be because you have a ton of research and sources but compiling it all into some kind of meaningful order or structure is messy and daunting. Enter Air Story. Air Story is similar to the ever-popular EverNote where you can “clip” information from the Internet and organize it in one place in the cloud. Features: However, Air Story takes this one step further in that you can also import files – text or image – from your computer or Google Drive into your “stories” which then allow you to drop and drag clips around into the order you desire and add your own supplemental text and images too. Furthermore, when you clip info from the web, it also retains the source information – even integrating that data as footnotes – into your project. Even better? You can share your projects with team members so everyone can work on projects together! Cost: Air Story is free at first and then packages for additional team members are super-affordable.